Figuring out who has your student loans can be a major headache and challenge. Over the life of a student loan, it’s not uncommon for it to be transferred several times between servicers. By the time you’re actually ready to pay 4 or 5 years after taking out your first student loan, you may not even know where your student loan is located. And this can be a major problem! For federal student loans, you have a 6 month deferment period before you’re required to start making payments. If you’re not contacted by your student loan servicer, they most likely don’t have your new address. But that doesn’t mean they aren’t going to charge you interest and fees for student loans you’re not paying. That’s going to kill your credit score (and you should care)! As a result, you need to make an effort to track down your student loans after you graduate! The first thing that you need to do after you graduate is head over to the National Student Loan Database. 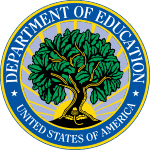 This is a great resource that is maintained by the US Department of Education that tracks who services your student loans and the balance of your loans. Given how much can change with your student loans while you’re in school, this can be really helpful to track everything down. To access your information, you simply need to provide your name, Social Security number, birthday, and a pin number. It will then show a list of your student loan debt that has been registered with the Department of Education (which includes all federal student loans and some private student loans). Once you know who your student loan servicer is, you need to contact them, especially if you are nearing the end of your deferment period and haven’t received a statement or any other information. Here is the name, address, and contact info for the Federally approved student loan servicers. If you’re loan is at one of these companies, this is the information you need. Also, read our reviews on the ones that we’ve encountered here at The College Investor. Read some of the problems people have had with CornerStone Student Loan Servicing. Don’t forget to read my battle with FedLoan Servicing and why I think it’s the worst student loan servicing company. Make sure that you check out NelNet Student Loan Servicing Problems. If you’re having problems with OSLA Loan Servicing, read this. It sounds like it could be confusing, but it doesn’t have to be. You can sign up for these programs for free at StudentLoans.gov. Have you ever had trouble getting in touch with your student loan servicing company? If so, share your story below! I will make sure to share this information with my twins. is fedloanhelp.org a legitimate student loan servicing company? is it a scam. It was not in your list. I can’t seem to find any complete information on this company. They claim they don’t ask for any money. No FedloanHelp is NOT a Federal Loan Servicing company. You shouldn’t work with them, but you should instead call your lender. Is Navloan a legit Federal Loan Servicing company? I do NOT see them on this list. Please let US know asap! They say its an processing fee. No, they are not a Dept of Education loan servicing company. You never have to pay a fee for any service relating to your Federal student loans. If you’re concerned about a legit website, you can always access your student loan information at StudentLoans.gov. Is Student Loan Assistance Foundation a legitimate educational loan company? My husband filled out paperwork already for his daughter’s loan but I’m suspicious. If you mean is it a legit Federal loan servicer? The answer is no. Is Debt Pay Gateway a legitimate loan company? they asked me for a fee to fill out my IDR. We’ve never heard of them and can’t tell you if they are legitimate or not. We can say, in general, you don’t need to pay for any help with your student loans. You can do it for free at StudentLoans.gov. If you want help, you can always pay, but there are free options that are relatively easy to do. Read this article, you might find it helpful: Is My Student Assistance Company A Scam? Does Accel Service Center work with DOE, or just charge people to fill out paperwork? Also, why do they ask for such personal ID information, that has never been asked before? Does the Student Loan Center (800-935-2916) with John Comer a legitimate student loan consolidation program? Help me get out of dealing big with Fedloanhelp.org. They take money out to of my account every month. I need help! I’m having trouble proving a payment history for a loan repayment application from back in 2012 – NSLDS lists Dept of ed PHEAA and most recently I was dealing with fedloan, but talking to fedloan now they say I consolidated with “direct loan servicing” that “no longer exists” and there is no way to find that payment history (from 2012) since they didn’t take over the loan till 2013. Was there a company or govt agency by that name in 2012 that truely no longer exists? 10 plus calls to fedloan and speaking to supervisors and they still say they can’t help. Check your credit report – annualcreditreport.com and see where your loan is at. Cornerstone education Loan services sent me a letter saying that Department of Education has selected them to service my loans. I read some reviews online about Cornerstone and people have said that they were horrible and very unprofessional with students. Is there a way I can change my loans provider to someone else? No, you loan is assigned by the Department of Education. Can you provide me with contact information for Foremost student loans? Never heard of this company and they are not a Federal student loan servicer. Fedloan Servicing is a student loan servicer – however, many companies play off the name in an attempt to confuse or mislead people. Be aware. That is the official website of Fedloan Servicing, which is a student loan servicer. The list in the article are the only Federal loan servicers. It sounds like you’re thinking about using a third-party private company to help you? Which of them do you think is the better option? I’m currently looking to consolidate but hesistate to stay with Fedloan. However it seems like there’s no good option. It doesn’t matter at all. They all have specific jobs assigned to them by the Department of Education, but they are all big firms. Even at a 99.99% accuracy rate, issues happen. What really matters is at the end of the day you follow up and do your due diligence on your loans. Am trying to consolidate my parent plus loans into 1 loan. I work for a gov’t public service agency and my employer already signed my loan forgiveness certificate. I currently had my loans with Nelnet. Do I have a choice in marketing for other authorized loan servicers on your list to get a better/lower interest/loan terms? Which one will you recommend for me? Parent PLUS Loans are complex when it comes to Public Service Loan Forgiveness. You have to re-consolidate, then make 10 years of payments under ICR to potentially qualify. As for your loan servicer choice, you don’t get a choice. Your loans will be transferred to FedLoan since you are opting for PSLF. Is premier student loan center legit? Do you know if it’s possible to change your student loan service provider for private loans? Do different service providers offer different interest rates or are they the same across the board? Do I have the right to choose one other than the one I’m assigned? You can refinance your student loans at a different lender, which would then change who owns your loans. Different private lenders offer all sorts of rates, options, perks, etc. Check out this list: Best Places To Refinance Student Loans. You never need to pay a third party for help with your loans – that’s optional. You can do it all yourself by working with your lender and the collection agency. You want to start a process called student loan rehabilitation. That will get you back on track – but it’s still going to cost you more than it would have if you hadn’t defaulted in the first place. There’s no going back, but you can fix things going forward. I am consolidating and can choose my new servicer (at least temporarily). Who has the fastest turn-around time for consolidating? Any thoughts are appreciated. They are all similar in turn around time. If you’re going for PSLF, choose FedLoan. It will save you changes later. Is SL Account Management a legit student loan company?? Are they a Federal loan servicing company? No. I am suddenly being contacted from Action Financial Services about loans that I’ve never received a bill for. It’s been 7 years since I stopped any classes. I haven’t received any invoices or mail regarding payment of any loans other than what I’m currently paying for. I have loans from Navient that I’m paying and private loans that I’m paying. This company is coming to me out of nowhere saying I owe over $90,000. They sent me loan documents with no dollar amount and only a typed name as my signature. I don’t know where to turn to.